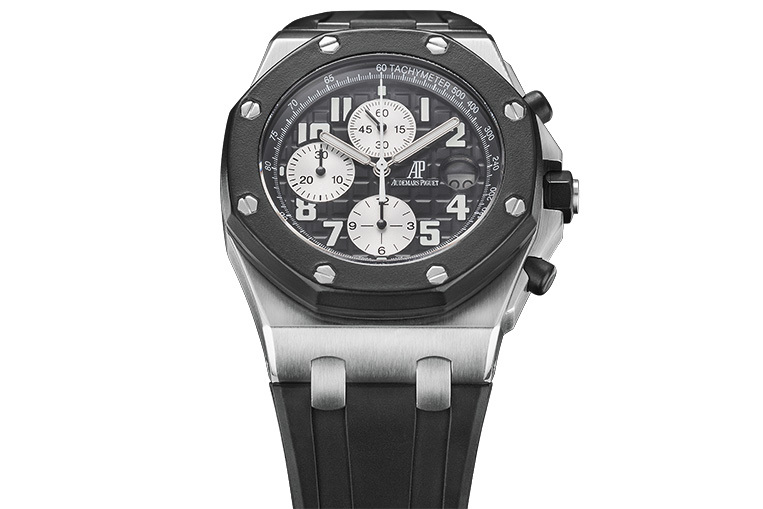 Focus on the Audemars Piguet Royal Oak Offshore | Watchfinder & Co.
Back in 1972, Audemars Piguet did the unthinkable: they sold a steel watch with an out-there design for ten times the price of the Rolex Submariner. The gambit paid off, and that watch evolved into the Royal Oak Offshore, one of the most sought-after timepieces of the financial elite. A popular variant is the Rubber Clad, distinguishable by its rubber bezel. Recently discontinued, the Rubber Clad is due a replacement, and that throws up an interesting question: should you buy one now, or wait until the new one comes out? 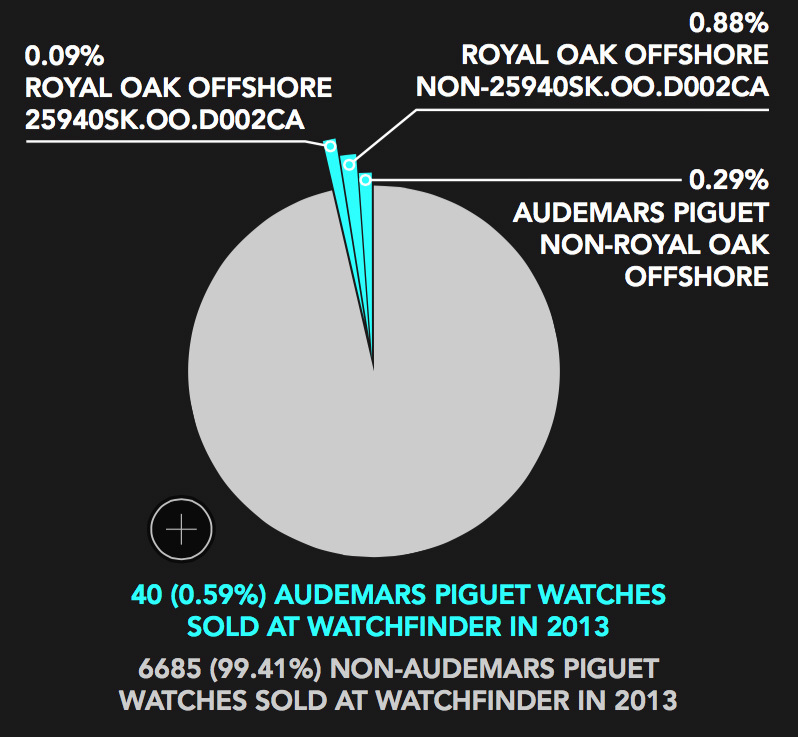 With Audemars Piguet’s solid residuals, the choice is yours. 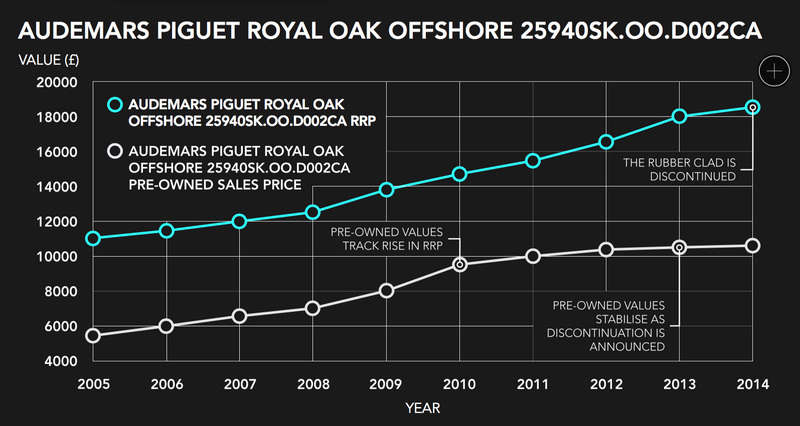 The discrepancy between prices new and pre-owned may look large, but much of that is accounted for by dealer discounts; once the Rubber Clad has reached the used market, prices stay firm, and have done through the years. 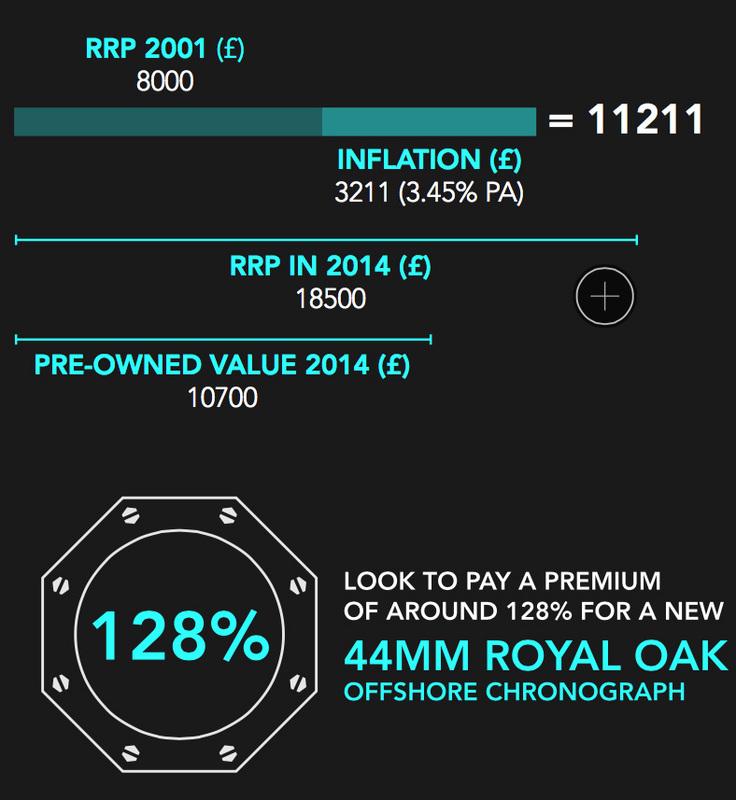 The Rubber Clad is a popular watch, and a new model shouldn’t much dent its re-sale value, if at all. 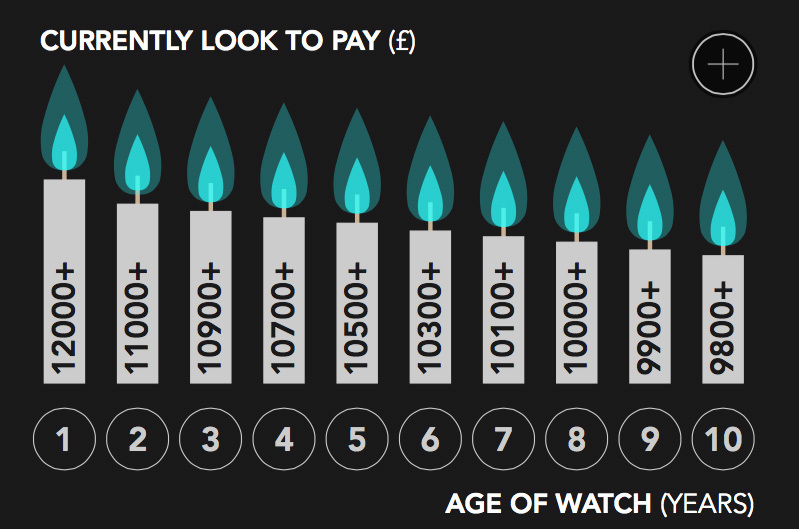 One thing that may dent, however, is the rubber bezel itself, so watch out — it’s not cheap to replace.